I apologise for the lack of posts lately, but I've been SUPER busy in the last couple of days. I'm sort of in a process of moving (I'm getting a new room), so a lot of things need to be done and since Ikea became my second home at the moment, there was simply no time for blogging. But I did manage to find a little time for shopping and I must say I'm really glad I did, otherwise I won't be able to get my hands on this baby! Yes, I'm talking about my new Guns N'Roses shirt that I bought in H&M. I thought it was completely lost for me, since it was in stores for such a long time and I was stupid enough, not to buy it earlier! So you can imagine how happy I was, when I found it the other day, the last one, in the biggest size possible, but I couldn't care less! Have a really lazy Sunday everyone! 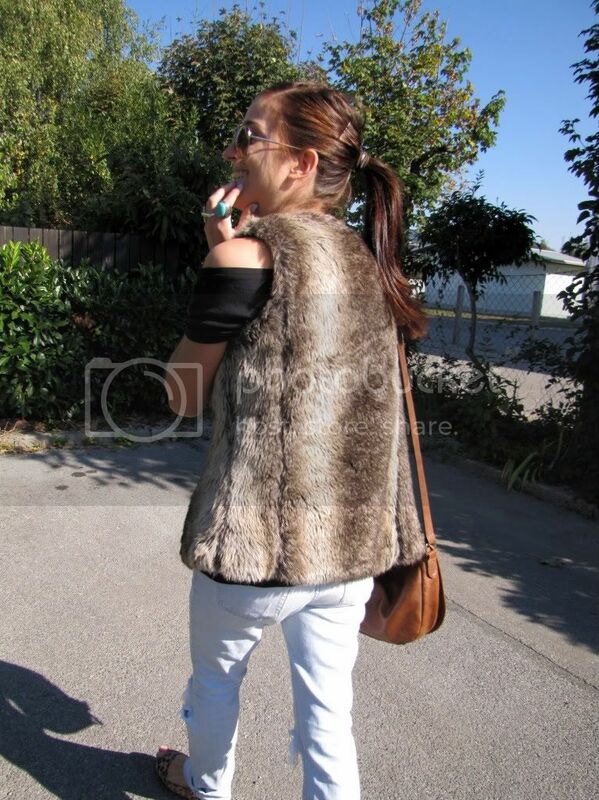 Wearing Topshop jeans, H&M shirt, flats and bag, Bershka faux fur vest. Tooop! Tak vest iščem že celo večnost, pa nikjer ni nobenga k bi stal tko kot tale stoji tebi! Je letošnji? :) Btw, love your blog! Thanks for the comment! I love your watches and great t-shirt! 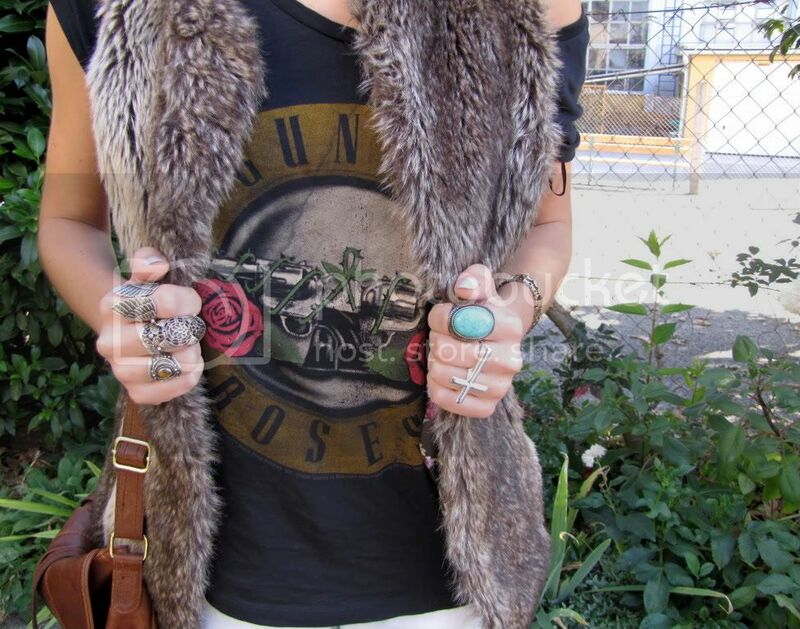 Love how you easily incorporate a fur vest into your outfit. It's difficult for me to do that because I feel like fur is so fancy! But it looks amazingly casual on you! Great look, Love the post! your fur is stunning and a great piece for this outfit. Chic! I love your vest and am so happy you paired it with leopard print shoes!! !